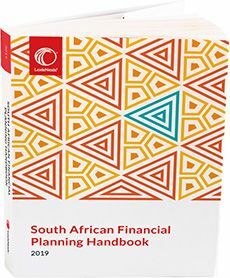 This is a distinguished reference work for all financial planners, legal advisors, compliance officers and academics. It is prescribed for various post graduate qualifications in financial planning. This book explains the basic principles of South African trust law. 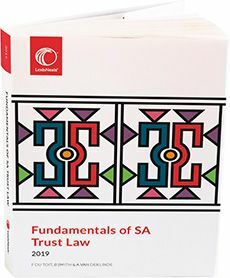 It provides a concise, yet comprehensive, exposition of the principles underlying South African trust law, but also attends to many issues pertinent to the trust in legal and commercial practice. Concepts are explained in an uncomplicated and straightforward, yet sufficiently comprehensive manner in order for the book to be used as a student text, an introduction to trust law for the practitioner who does not possess a legal qualification, and even as a resource for the experienced legal practitioner and advanced trust law scholar in search of answers to contemporary trust law questions. 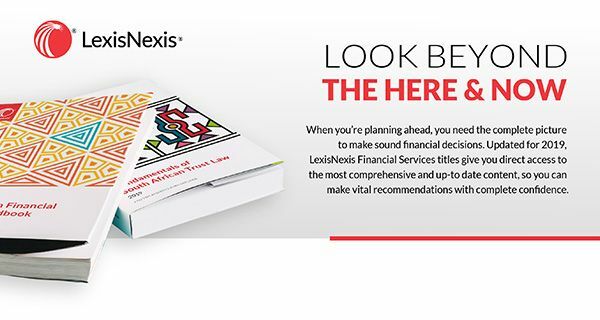 Copyright© 2019 LexisNexis, a division of Reed Elsevier Inc. All rights reserved.